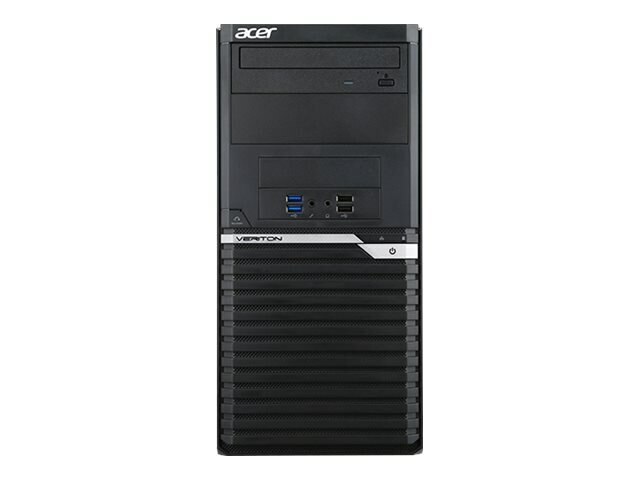 Acer's Veriton M-Series mini-tower desktop delivers business class performance in a highly customizable workspace efficient chassis. 8GB (1x8GB) DDR4 SDRAM, upgradeable to 64GB. There are four memory slots. One slot is occupied by a removable 8GB module; the other slots are open. Limited warranty includes onsite service during first year.